A better way to phrase the question is,”Is God pro-choice?”. 1. )……if you are not a Christian (one who claims to have his/her faith in the Father, Son, and Holy Spirit), this is directed to people who call themselves Christians, and are subject to Kingdom law. Unfortunately, our society has made it legal for women to have the ‘CHOICE’ to murder innocence. 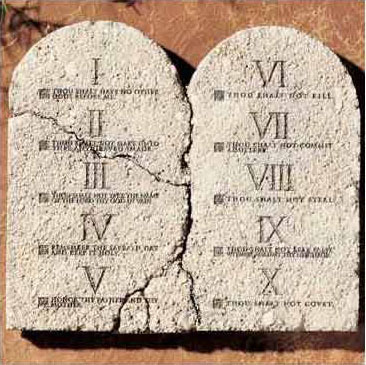 I do not agree with the law of the land, but this blog is directed to those under Gods law, we are held to a higher standard. 2. )……if you are a Christian and have had an abortion, and you are pro-life. Abortion is a sin, like my sin, it has no value attached to it. Jesus died for our sins, past, present, and future. This message is for those who claim to be in the Kingdom and advocate for a woman’s right to choose murder. Yes, murder. Abortion in the Kingdom???? Is God pro-choice???? ABSOLUTELY, NO and NO, I scream at the top of my keyboard! There are plenty of things in scripture that we can differ on interpretation, like end times, or Calvinism vs. Arminianism. There is no grey area of interpretation on the subject of abortion. As a Kingdom son, I will no longer sit in the pews and let Christian Liberals and/or anybody else in the Kingdom continue to advocate a woman’s right to choose, on the matter of abortion! You can not have your cake and eat it to, this is exactly what Christian Liberals want. They want the comfort of a loving God, and the plan of eternal life with Him, but they don’t want to obey Him, and call sin what He calls sin. We do not have to like what God calls sin, but as son’s and daughter’s, we do need to ‘turn’ (repent) and see it His way. To say you can be a pro-choice christian, is like saying I’m a meat-eating vegetarian. There is no such thing and you cannot have it both ways. How do I know God see’s abortion as sin? It’s easy math, first, ‘does God know us before we were born?’ (Jeremiah 1:5 Before I formed you in the womb I knew you). Second, ‘what does God say about murder?’ (Exodus 20, remember the 10 commandments, “You shall not murder“). In conclusion if we are alive before we were born, and God commands us not to murder, this is clear, we in and of the Kingdom are called to stand together against abortion (like any other sin). In the Kingdom of God you have no choice on this matter, a woman does not have the right to choose murder. I will leave you with this, something to think about if you still think that it’s okay to be a pro-choice christian. It comes from Matthew 7:21, “Not everyone who says to me, ‘Lord, Lord,’ will enter the kingdom of heaven, but only the one who does the will of my Father who is in heaven“. Just because you say Lord, Lord, this does not make you a citizen in the Kingdom.